One of the more common medical concerns nowadays is maintaining colon health. Probiotics and prebiotics have been highly recommended by experts in terms of keeping the colon and the rest of the digestive system healthy. But what can they really do? Read on and find out. Probiotics are live microorganisms that are not found in natural sources but are actually created or manufactured. They can be found in certain foods, like soy products and yogurt, or in nutritional supplements. 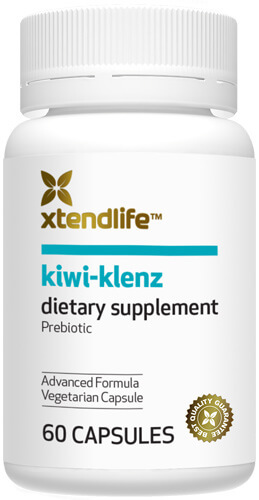 These probiotics are used to top up the level of good bacteria that can be found in the gut. Their main function is to shore up the good bacteria population in our digestive system to make its defenses against bad bacteria stronger. If bad bacteria are allowed to thrive in the colon and the whole digestive system, disorders like diarrhea, constipation and gastroesophageal reflux disease, just to name a few, will be the eventual consequence. Prebiotics, on the other hand, are non-digestible food ingredients that stimulate the growth and activity of the good bacteria in our gut. They can be found in plant species like artichokes, leeks, chicory root, kiwi fruit, garlic and onion. However, they can also be found as part of the ingredient profile of certain food products like bread and cereals. Prebiotics are also used as a nutritional supplement and have been deemed even better than probiotics since the latter can be destroyed by acid in the stomach or by a number of manufacturing processes. Prebiotics, meanwhile, are non-digestible, so they reach the colon without altering their original state, thereby enabling them to perform the function for which they are known. Probiotics do help in keeping the digestive system healthy. However, some experts have stated that their beneficial effects are practically negligible, mainly because of their inability to survive the effects of stomach acid and the effects of manufacturing processes. Prebiotics are deemed to be more effective by some experts, owing mainly to the fact that their original structure is maintained regardless of the manufacturing process used. Prebiotics are particularly beneficial to the colon. Research studies have shown that these food ingredients have the ability to create an environment in the colon that bad bacteria find intolerable. There have also been studies asserting that prebiotics can lower the risks of colon cancer. Moreover, they can operate even without probiotics since they can just use the natural good bacteria already present in the gut, while probiotics, in most cases, may have need of prebiotics to make them more effective. Both probiotics and prebiotics offer benefits to the digestive system by protecting it from the influence of bad bacteria. However, prebiotics have been found to be more effective and their impact more extensive, particularly when it comes to the colon. Although both can be used to maintain digestive health, experts believe that prebiotics alone are enough to keep the gut in good condition. Also, more evidence had been found in support of prebiotics’ ability to help promote colon health, probiotic presence notwithstanding.